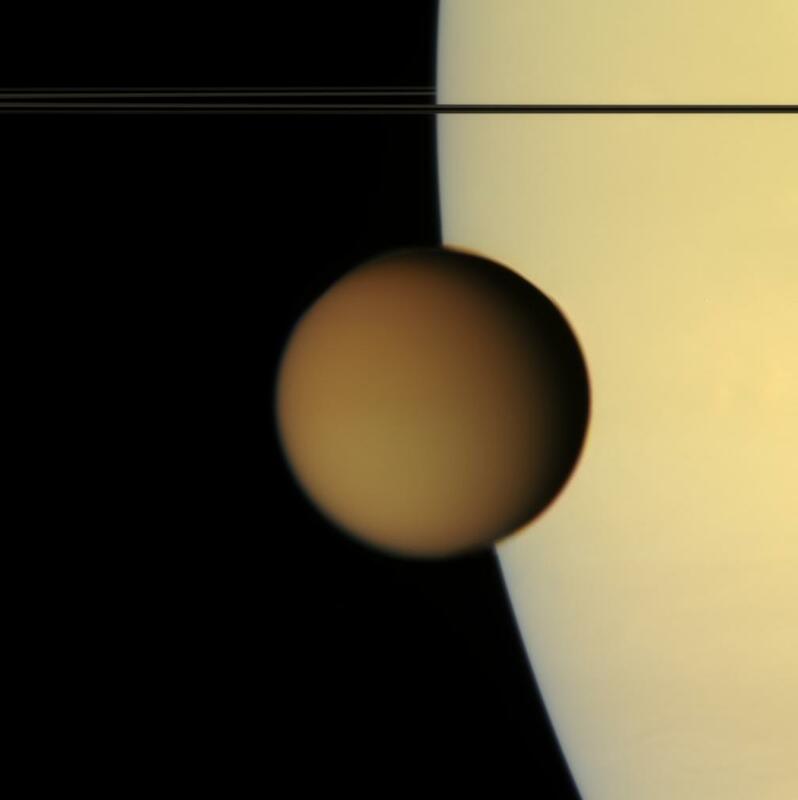 The murky orange disk of Saturn's moon Titan glides past -- a silent, floating sphere transiting Saturn. Titan's photochemical smog completely obscures the surface in such natural color views. Its high-altitude hazes are visible against the disk of Saturn as they attenuate the light reflected by the planet. 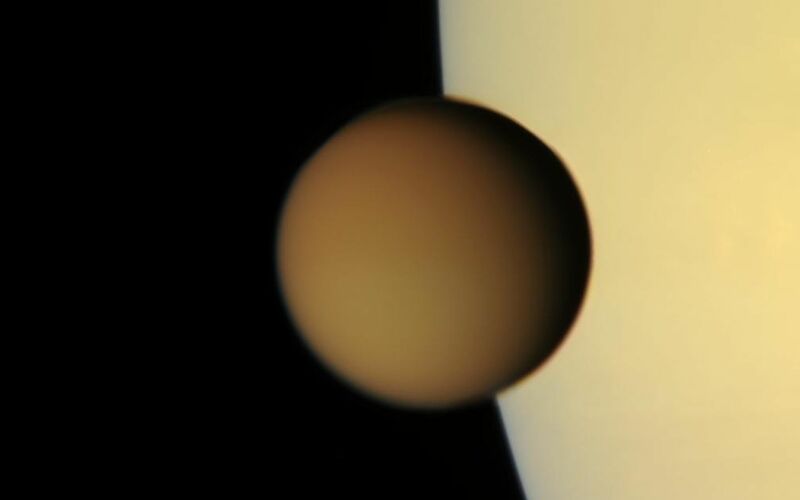 Titan is 5,150 kilometers (3200 miles) across. The view was acquired from less than a degree above Saturn's ringplane. Images taken using red, green and blue spectral filters were combined to create this natural color view. 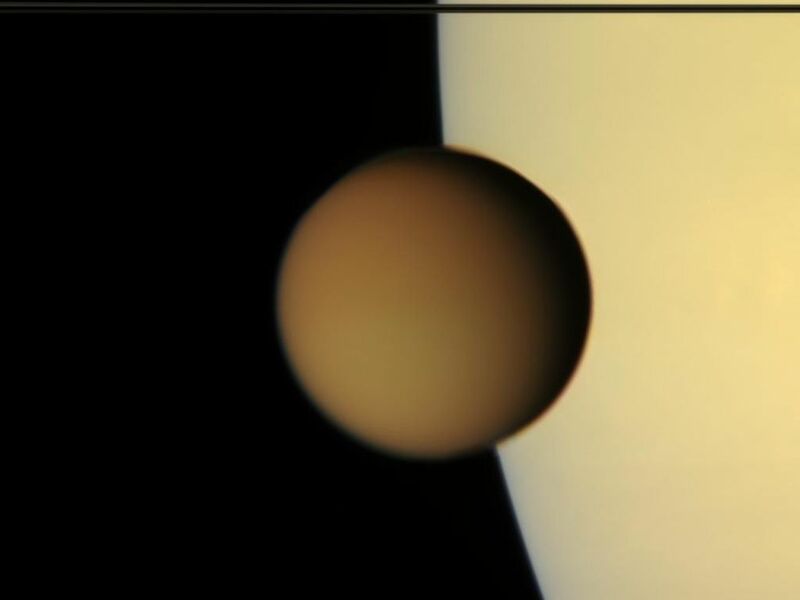 The images were obtained with the Cassini spacecraft narrow-angle camera on Aug. 1, 2007, at a distance of approximately 2.4 million kilometers (1.5 million miles) from Titan. Image scale is 15 kilometers (9 miles) per pixel.